A cold Arctic surge will spill south over Friday night bringing a shock to the record-breaking warm November so far. 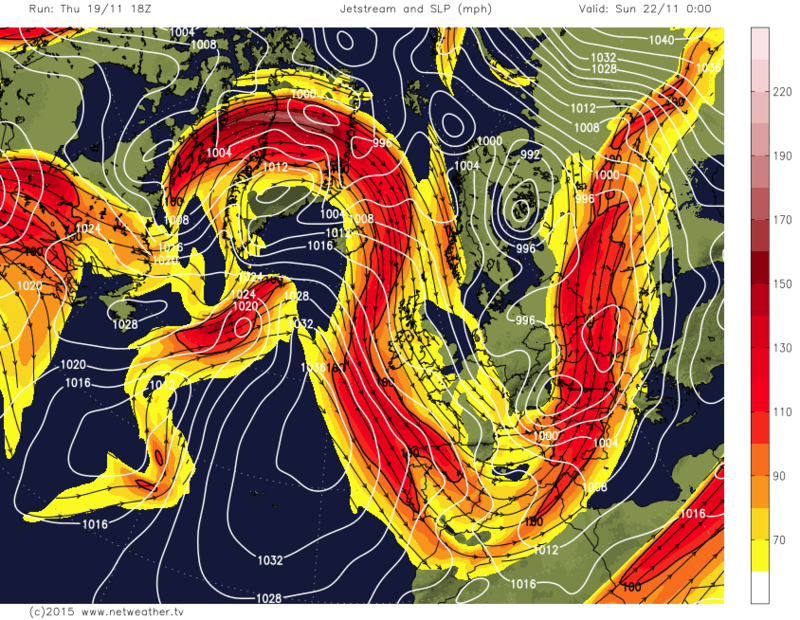 The airmass trajectory shows the extraordinary journey the air has taken to get to London. 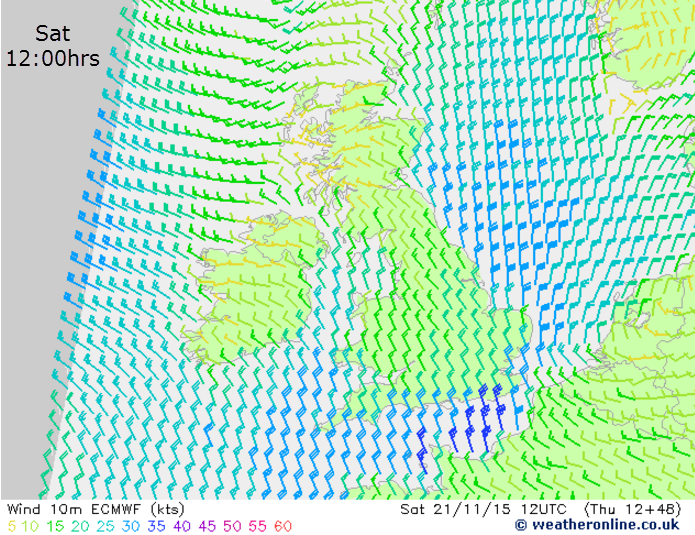 It’s a brief Arctic attack but rather potent and Saturday morning will feel especially cold in strong northerly winds. 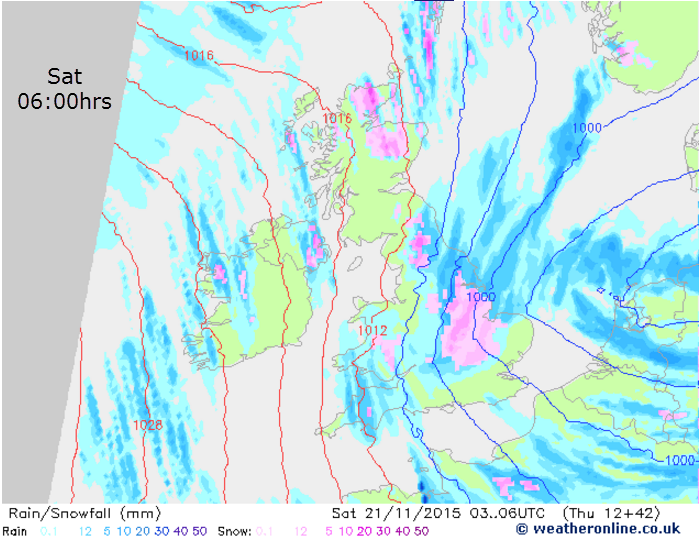 In the South East, whilst the airmass temperature is just cold enough for snow and sleet, falling to a cool -5C at 850hPa by early Saturday morning, the dew point is shown to rise quickly above freezing as precipitation arrives in the morning and this will reduce the chance of any proper snow fall. This is fairly typical of the SE! 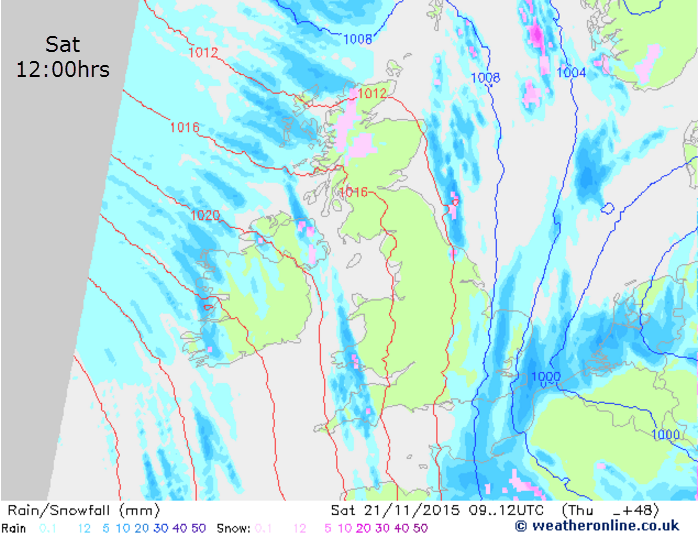 The main feature of Saturday morning in Reigate will be a truly miserable wet, cold windy start with an impressive wind chill well below freezing lasting all day, something we haven’t experienced in Reigate and Surrey for a long time! Overall, this cold snap is not due to last long, warming slowly into next week but turning unsettled as the jetstream blasts back from the Atlantic. It will not, however, become as warm as it has been. Winter forecasters look high into the atmosphere to get an idea of what the winter will bring. One feature they look at is the Polar Vortex. The PV is currently getting stronger, which it usually does this time of year. The vortex is the winter circulation of high altitude westerly winds in the stratosphere that keep the cold polar air locked up in the Arctic. To get sustained cold outbreaks the vortex needs to be broken down: something that can occur when the polar stratosphere warms, sometimes suddenly. However, with North Pole stratospheric temperatures taking a steep dive, lower than average, the temperature gradient between the Pole and mid-latitudes is increasing and so the subsequent pressure gradient is also steep: with generally low pressure over the Pole and high pressure further south. 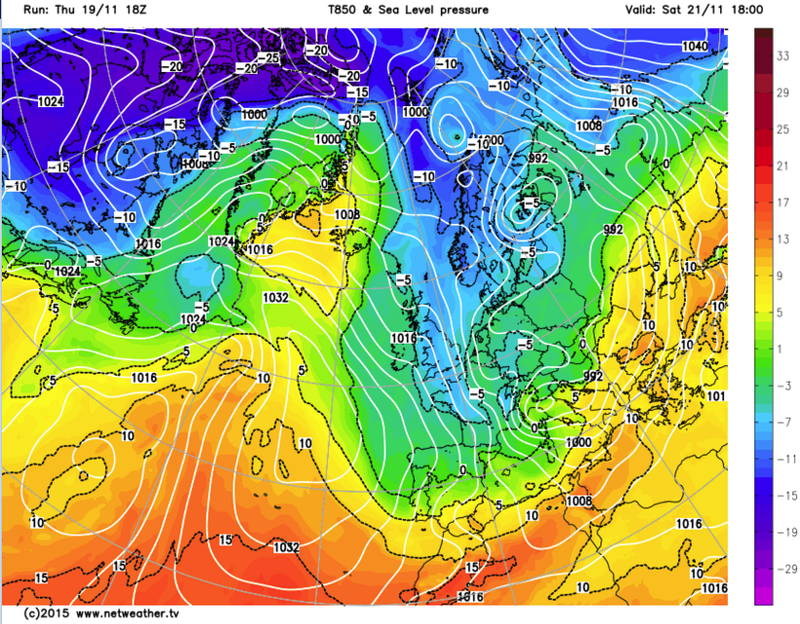 This all really means cold air is less likely to leak south. The Arctic Oscillation is an index showing how atmospheric pressure varies between the North Pole and mid-latitudes. In a positive phase the westerly winds are stronger and the jetstream more powerfully moves depressions across the Atlantic to the UK. A negative AO is required for wintry outbreaks… El Nino can induce stratospheric warming episodes and many winter forecasters are expecting the Polar Vortex to come under attack later this winter, after Christmas, and possibly produce a colder second half. 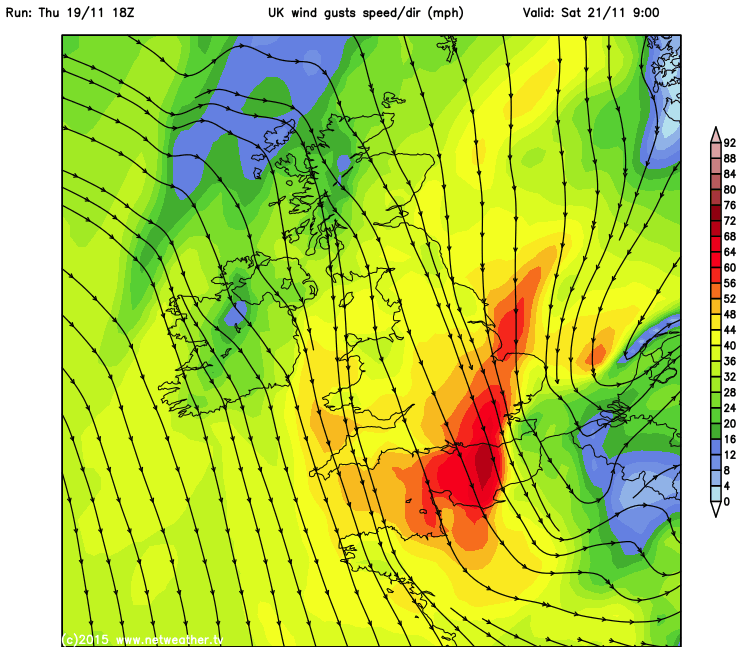 meanwhile, expect more unsettled, relatively mild weather to return after this cold snap. The brief cold snap is shown in the ensemble forecast from the GFS and ECM models below: cold snap followed by a return to mild.